The last thing Jesus ate was guinea pig. 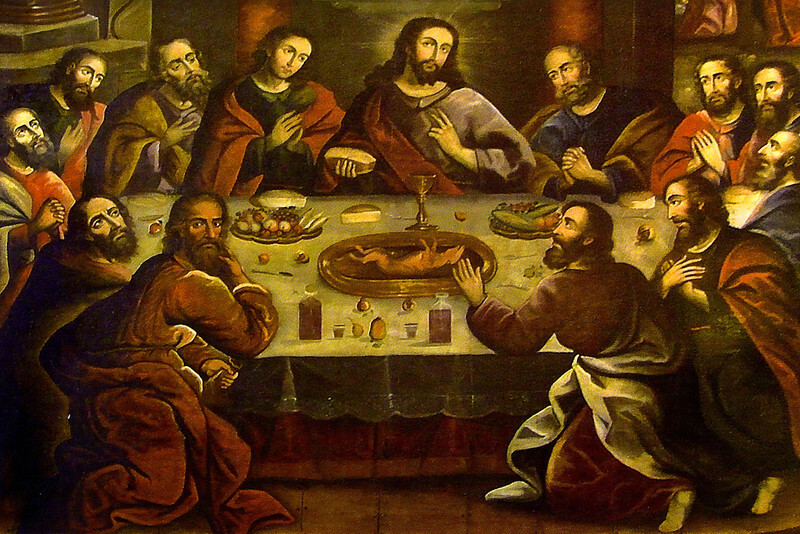 In his 1753 version of “The Last Supper,” Marcos Zapata painted the Andean cuy (guinea pig) as the main entrée for Jesus and his disciples. The bald, splayed carcass greets visitors and parishioners inside Cuzco’s main cathedral. But the fusion of religion and Andean cuisine marks more than an important meal: this tiny rodent has a long gastronomic history in Peru. Marcos Zapata’s The Last Supper. 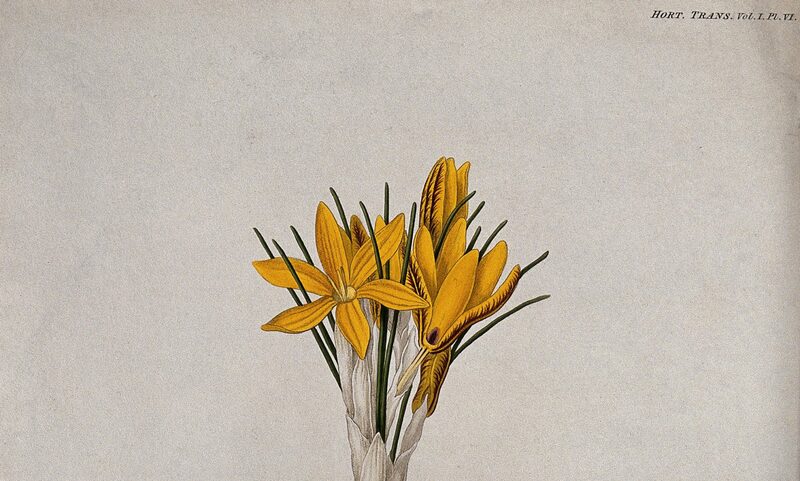 Credit: Wiki Commons. Archaeological records date its consumption at least 5000 years ago, when Andean peoples savored diets rich in tubers such as potatoes, ulluco, and mashua, along with quinoa (a protein-rich seed), maize, legumes, and meat from camelids, deer, guinea pigs, dogs, and birds. In the fifteenth century, guinea pigs were considered the common person’s meat, because other animals were more tightly controlled by the Inca state. Guinea pig. Credit: The Author. Cuyes are an efficient meat source. When compared to larger quadrupeds, they do not require nearly as much care, food, or space. Guinea pigs need only four pounds of food to produce one pound of meat (compared that to a cow which needs eight pounds of food to produce one pound of meat). And, they are small enough to raise in-house; they thrive without cages, regular meals, or controlled breeding. Some even run freely throughout their keepers’ homes, retreating to adobe huts or chicken wire cages (cuyeros). A typical breeding ratio keeps 1:7 male to female guinea pigs, with the females gestating three months and bearing three to four babies at a time. In the early-modern period, guinea pigs were used in religious rituals and and folk medicine. Guinea pig entrails could predict the future: “Inca haruspices (cuyricucc) opened the animals with their fingernails and inspected the entrails to predict future events.” The Indigenous chronicler Guaman Poma de Ayala described their symbolic role in Chacra Conacuy (The eighth month in the Incan calendar, usually around July) where the Incas sacrificed “1000 white guinea pigs, along with 100 llamas, in the plaza of Cuzco, the Inca capital.” Indigenous healers also used cuy to treat nerves and earaches. In Shoqma, a practice still observed today, an Andean healer rubs warm guinea pig viscera on a person to pass illnesses such as rheumatic and abdominal pains from the human to the animal. The neck is broken, then the animal is put into boiling water to remove the fur. Next the abdomen is opened and the viscera are removed, and the cuy is stuffed with such spicy herbs as mint and marigold. A stick is run lengthwise through the body, and it is either broiled rotisserie fashion over a charcoal fire or cooked on hot stones in the indigenous manner. The meat is dark, rich, and savory, but several animals are needed to satisfy the appetite of a hungry man. In urban areas like Arequipa, Peru, few families raise their own guinea pig, and most partake in restaurants while celebrating a special occasion, such as a Sunday meal out with the family, birthdays, or other holidays. 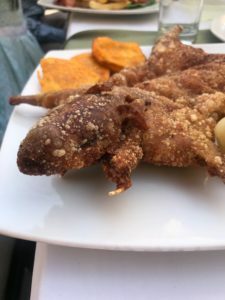 Arequipa is known for two different culinary styles: in cuy chactado, the animal is squished under stones and fried and in cuy al palo it is impaled and roasted. and a nostalgic nosh for Peruvians living stateside. Today, guinea pigs are one of many delicacies distinguishing Peruvian cuisine internationally. Christina Zendt, “Marcos Zapata’s Last Supper: A Feast of European Religion and Andean Culture,” Gastronomica 10:4 (2010), 10. Christine Ann Hastorf, The Social Archaeology of Food: Thinking about eating from Prehistory to the Present. (Cambridge: Cambridge University Press, 2016), 158. Daniel W. Gade, “The Guinea Pig in Andean Folk Culture,” Geographical Review 57:2 (1967): 221. Daniel W. Gade, “The Guinea Pig in Andean Folk Culture,” Geographical Review 57:2 (1967): 217. And Daniel H. Sandweiss and Elizabeth S. Wing, “Ritual Rodents: The Guinea Pigs of Chincha, Peru.” Journal of Field Archaeology 24:1 (1997): 50. Bernabé Cobo: Hitoria del Nuevo Mundo (2 vols. ; Madrid, 1956), Vol. 1: 360 in Daniel W. Gade, “The Guinea Pig in Andean Folk Culture,” Geographical Review 57:2 (1967): 217. Daniel W. Gade, “The Guinea Pig in Andean Folk Culture,” Geographical Review 57:2 (1967): 223. Susan D. DeFrance, “The Sixth Toe: The Modern Culinary Role of the Guinea Pig in Southern Peru,” Food & Foodways, 1 (2006): 3-34. Archetti, Eduardo. 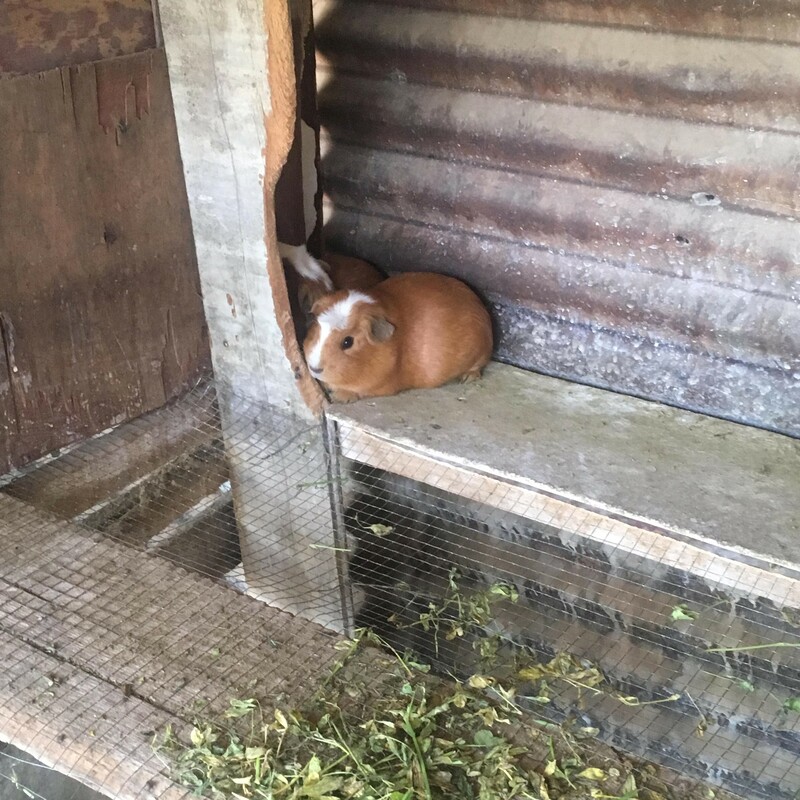 Guinea Pigs: Food, Symbol and Conflict of Knowledge in Ecuador. (Oxford: Oxford University Press, 1997. Morales, Edmundo. The Guinea Pig: Healing, Food and Ritual in the Andes. (Tucson, University of Arizona Press, 1995). Dr. Kathleen Kole de Peralta is an assistant professor of environmental-health and Latin American history at Idaho State University.